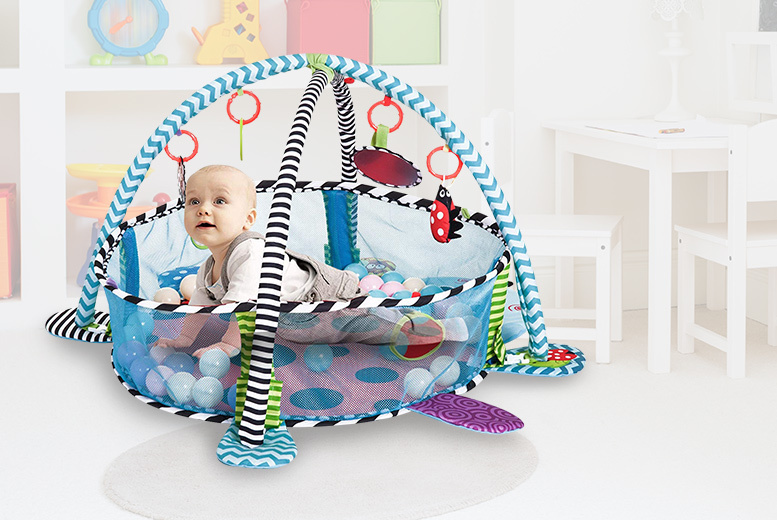 Get a baby play mat! With mesh walls to prevent them from crawling away. Coming in a fun blue colour. With a ladybird-shaped mat and four handing toys. Plus 30 colourful balls to convert mat into a ball put.